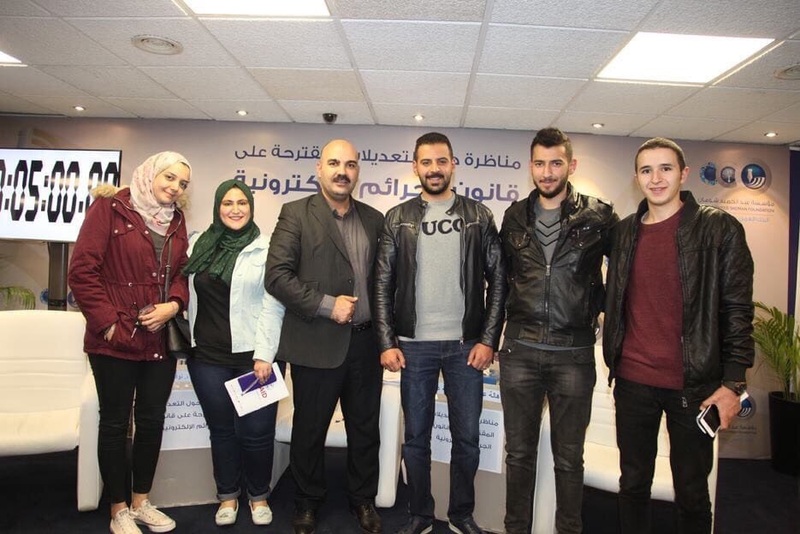 The AAU students took part in the program “Ana Usharek +) organized by the Office of Career Guidance and Follow-up Graduates. It is worth mentioning that these students are organizing the Campaign titled "My Expression is a Constitutional Right" at the University by building solid and credible partnerships to move forward in achieving this goal. The campaign aims to "guarantee freedom of opinion and expression by amending articles 10 and 11 of the Cybercrimes Law”. It is worth noting that there were law specialists who managed the dialogue with the students.